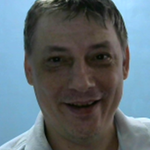 Hello, my name is Oakley and I am an American currently enjoying living and teaching English in the Philippines. I believe learning can and should be tailored to the needs and learning skills of the individual student. I have worked at a BPO company and a Marketing firm in the Philippines teaching call representatives Listening skills, American Accent training, Writing and Pronunciation. More recently I have been working in an Academy here teaching Japanese, Koreans and Chinese English Conversation, Business English and Exam preparation for IELTs, TOEIC and TOEFL. As well, I have worked with many Korean English Teachers to prepare them for the South Korean Teacher Certification Exam. Learning English is hard work, but it IS possible to have some fun in the process!